Sh. 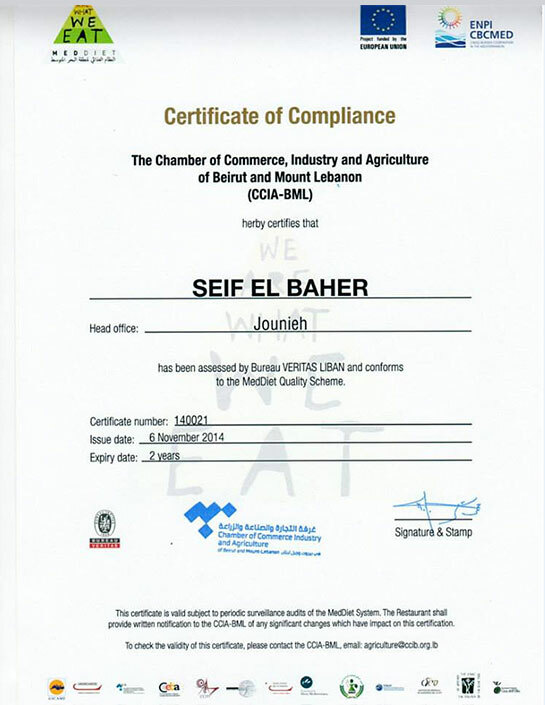 Carlos EL Hachem is the investor and founder of Seif al Bahr Restaurant and Lancelot Piano Bar Lounge. Assisted by his brothers and leading a qualified team, his goal is to capitalize on the important role the hospitality sector plays in the Lebanese economy in order to create a unique dining experience. Seif Al Bahr was a realisation of this concept.